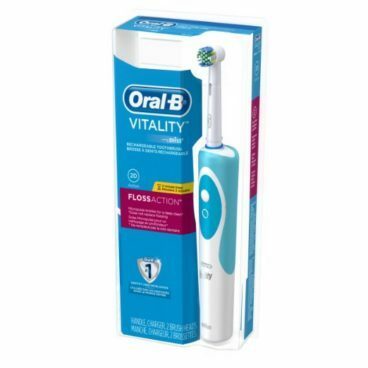 Oral-B Vitality Floss Action Toothbrush Just $14.96 (Was $26)! You are here: Home / Great Deals / Amazon Deals / Oral-B Vitality Floss Action Toothbrush Just $14.96 (Was $26)! A $5 coupon makes this deal great! Order the Oral-B Vitality Floss Action Rechargeable Electric Toothbrush for Just $14.96 (Was $26)! On sale for $19.96, just clip the coupon right under the price for another $5 off!